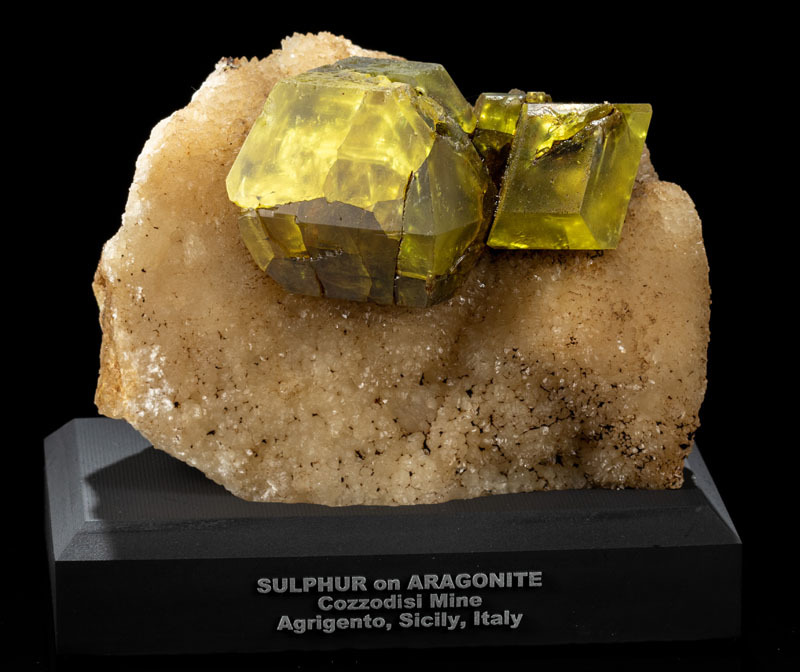 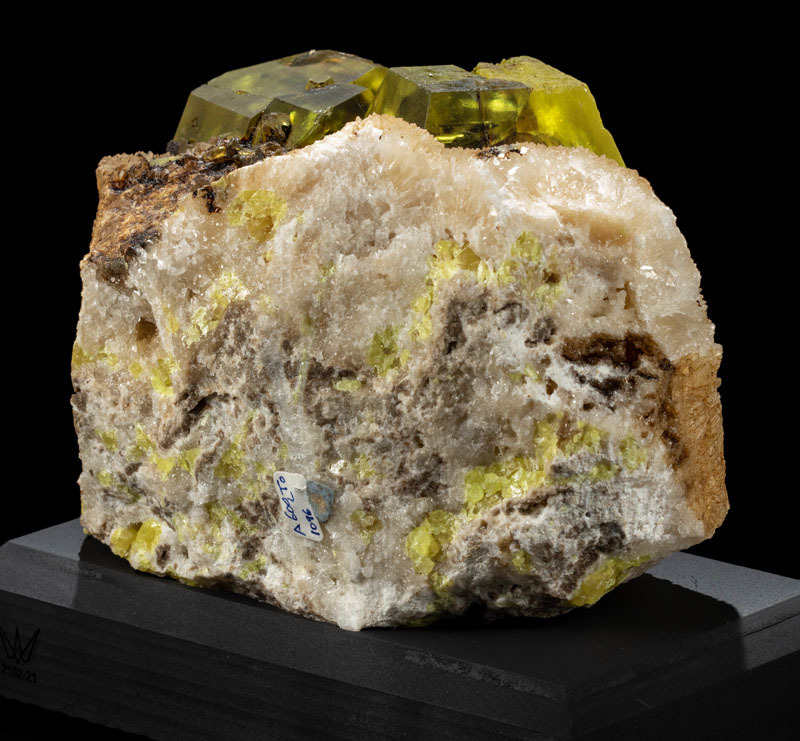 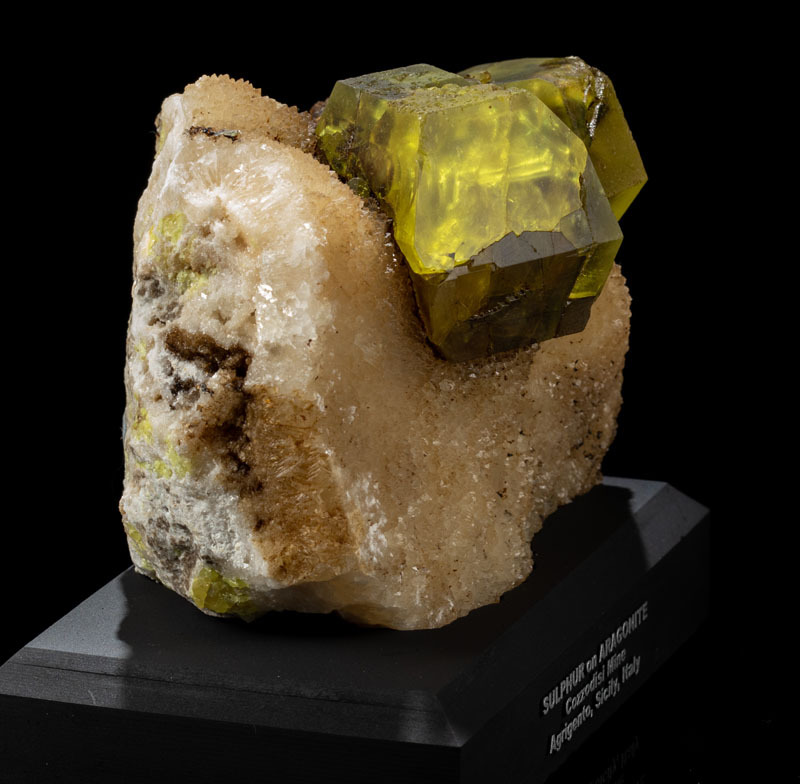 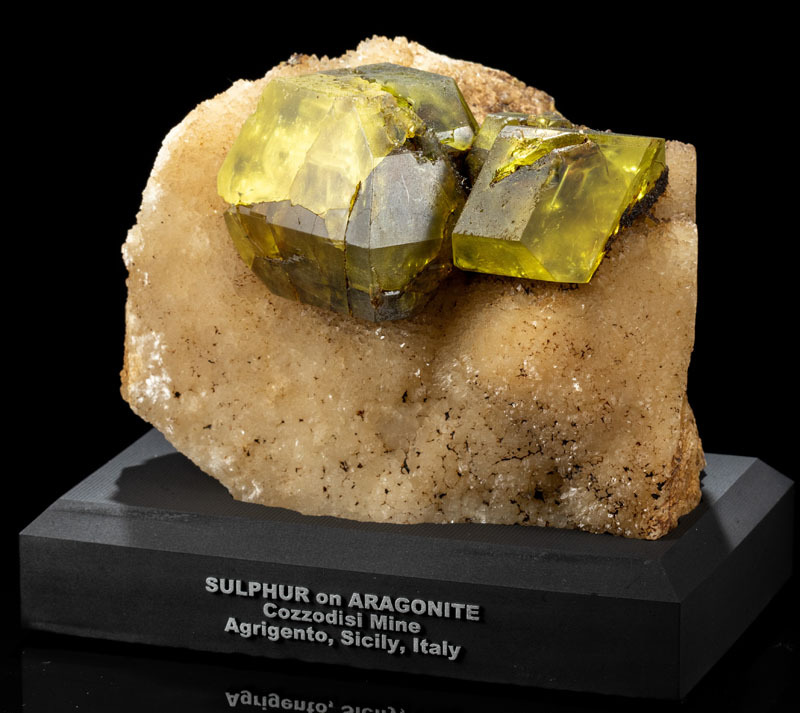 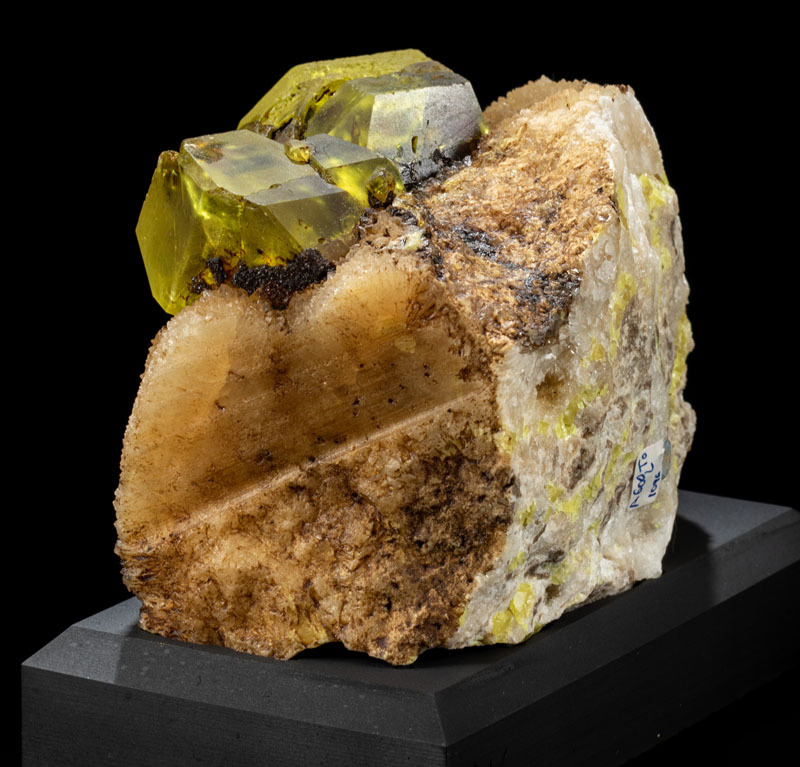 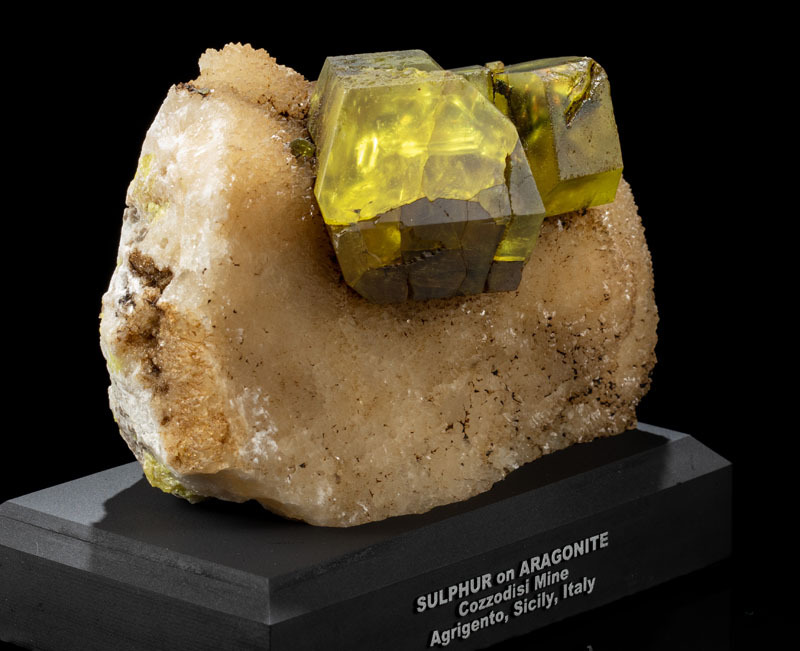 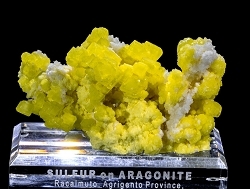 Two huge sulphur crystals and one smaller crystal are perched on an aragonite matrix. 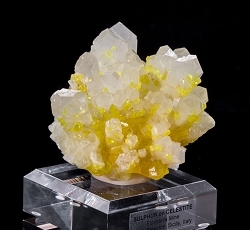 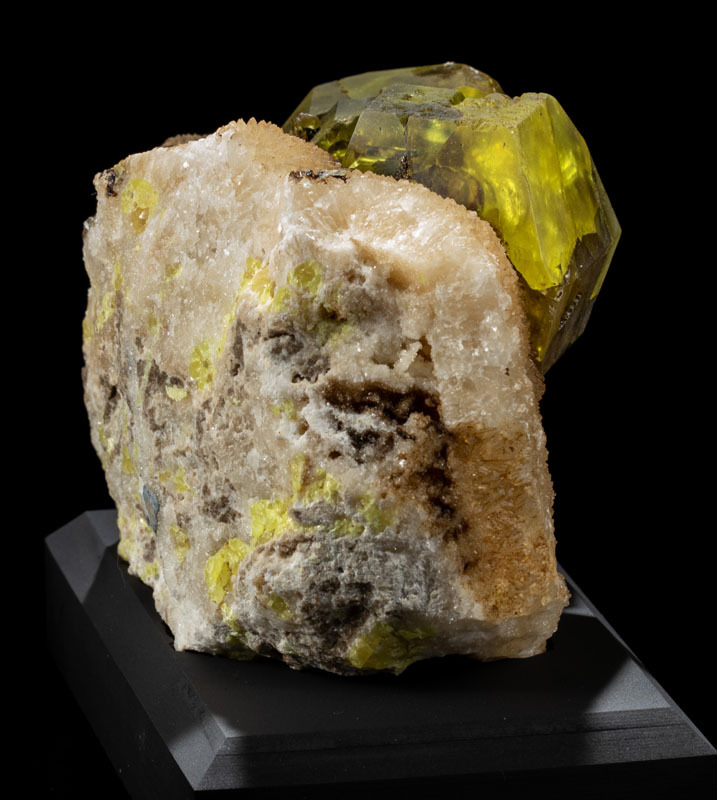 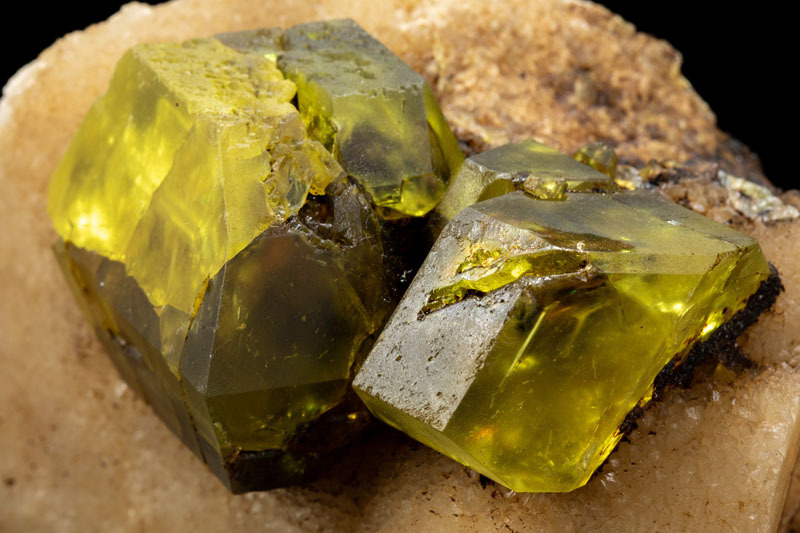 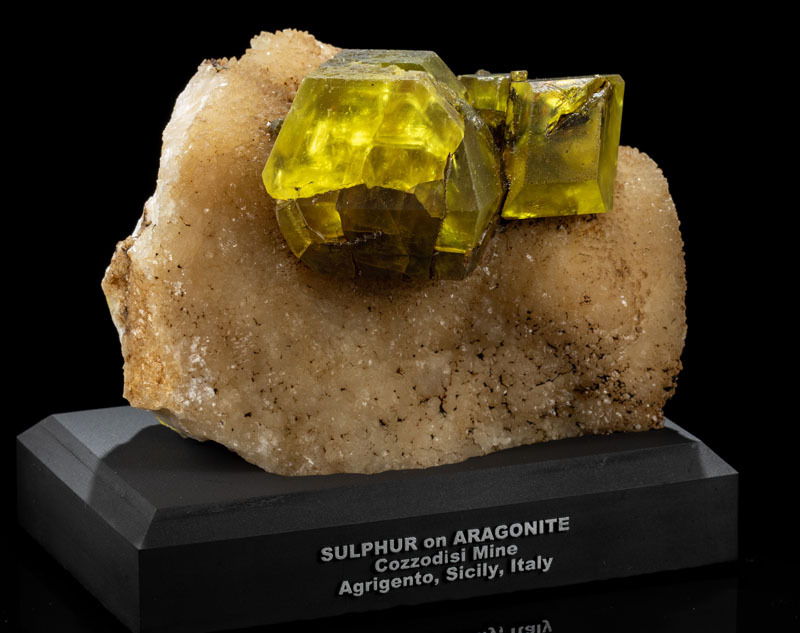 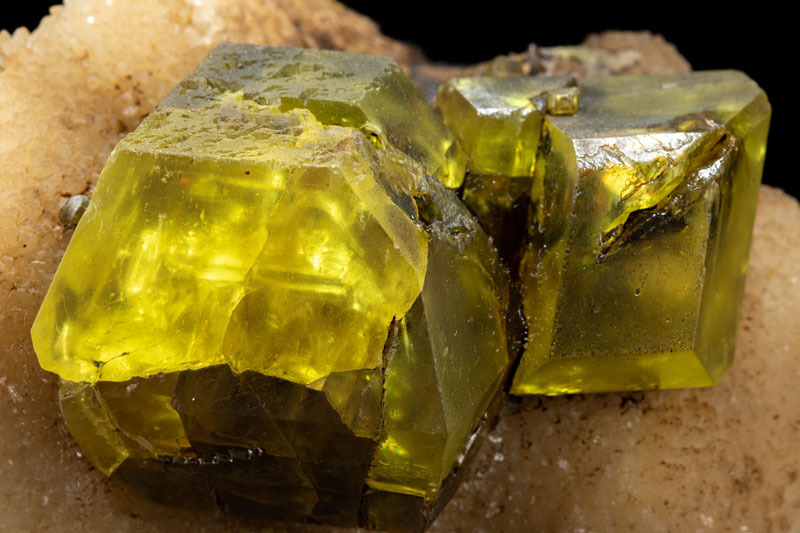 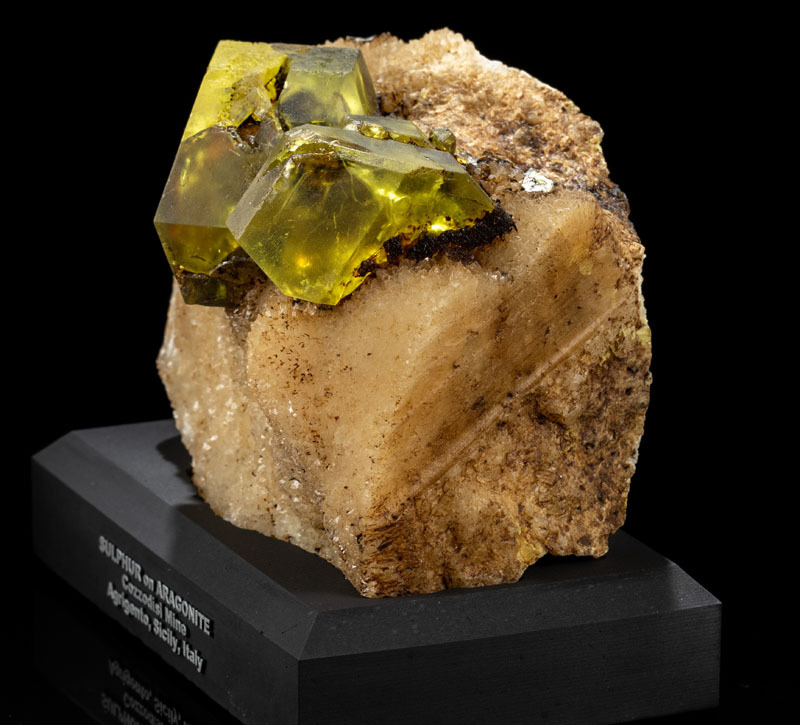 The largest sulphur crystal is 4.3cm wide, and they all have nice, black bitumen inclusions giving the specimen good contrast. 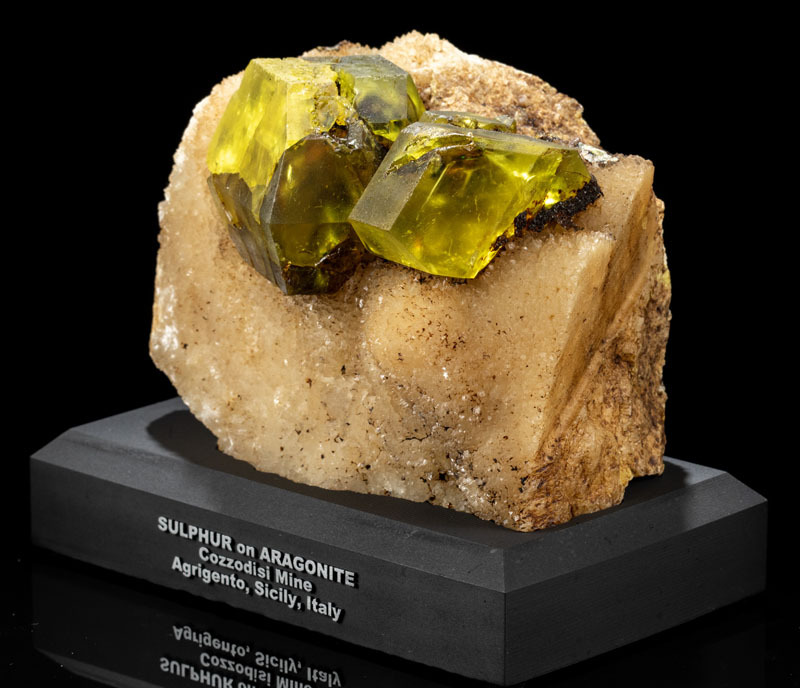 There are no dings on any of the sulphur crystals, but they have some interesting etching going on where it appears old cracks became weathered away and filled with bitumen. 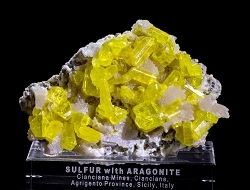 The specimen comes on a labeled acrlyic display base.